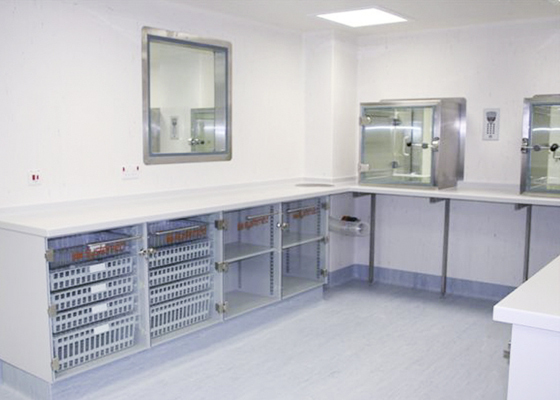 We are able to offer an extensive range of cleanroom and laboratory furniture solutions to meet every requirement. Our range of Trespa fixed and mobile benching, cupboards, worktops and shelving provide an extremely robust and durable finish that will withstand abrasive cleaning agents and everyday use equally effectively. We will attend site and carry out a detailed survey of the facility and discuss the requirements to determine exactly what the Client requires. We then produce detailed plan and elevation drawings for client approval prior to manufacture.